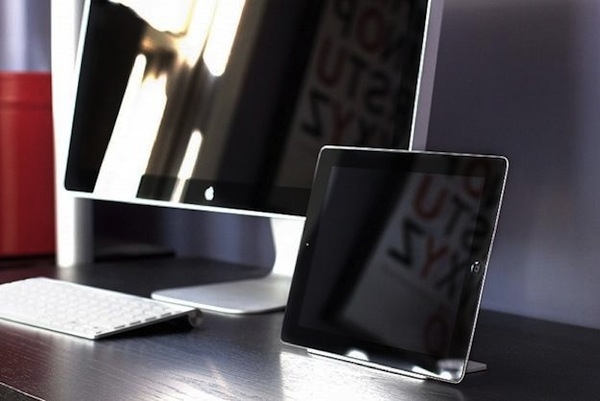 "The Magnus iPad stand works with magnets designed for the iPad 2 to create an almost gravity-defying minimalistic design." I really like the clean look of this, as it almost makes the iPad appear to be floating in air when in use. It is a bit pricey at $50.00 USD, but not outlandish. Besides, it sure goes well with the form factor of Apple products doesn't it?